Cable stripper tool, 0.5-6mm2, NB-STRIP04 Compact and safe pocket tool for stripping cables of different sizes. Cable stripper tool, ф8-ф27mm Compact and convenient tool for stripping a cable with sizes from 8 to 27 mm. 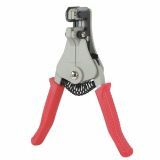 Pliers LS-700D, cutting, stripping Professional wire stripper tool, LS-700D, with maximum wire diameter 5 mm. List Price 10.90лв. VAT Incl. 10.35лв. VAT Incl. 9.81лв. VAT Incl. 9.26лв. VAT Incl. Wire stripping pliers CP-080E Wire stripping pliers CP-080E. Wire Strippers CP-3002D Wire Stripper CP-3002D for cabels with diameter from 0.8 to 2.6 mm (20 - 10 AWG). Wire Strippers 608-369B Wire Stripper 608-369B for cabels with diameter from 1 to 3.2 mm. 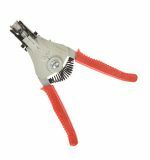 Insulated Wire Strippers 1000V Insulated wire stripping pliers for removing insulation from wires up to Ф5 mm diameter. Wire Stripper Tool, JST-226 Professional wire stripper tool, JST-226, with wire cross-section from 0.75 to 6 mm2. 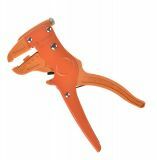 Cable Stripper 8-28mm Cable stripper with plastic handle for cables with cross-section ф 8 - 28 mm. Wire stripper cutter pliers, CP-108, 0-4mm2 Diagonal cutters with dimensions 128 x 45 mm and hardness 45 ± 3 HRC. Attention! Turn off the electricity before using the tool! Wire stripper/cutter pliers 1PK-066N, 0-4 - 1.6mm2 Diagonal cutters and strippers with dimensions 130 x 80 mm and hardness 45 ± 3 HRC. Attention! Turn off the electricity before using the tool! Wire Stripper Tool, WX-D2 Automatic professional pliers, WX-D2, for stripping cables with a cross section of 0.2 to 6 mm2. 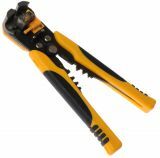 Cable stripping pliers are tools specially designed for quick, efficient and precise removal of cable and wire insulation. Once a piece of insulation material has been removed, the cable or conductor is ready for subsequent soldering, fixing, crimping, and so on. Pliers are different in design, principle of operation and type of cables for which they are intended. inserting the cable into the instrument at the designated location. Most of these pliers have a mark and different places for fitting a different size cable. applying force to the tool to close and squeeze the cable or wire. Some tools also need a slight twist to facilitate removal of the insulation. pulling force of the stripping pliers against the cable to remove the fully cut insulation. put the cable or wire into the tool. This type of tool often has a limiter to adjust the desired stripping length. the handles are gripped, as a result of which the conductor or cable is pressed, the insulation interrupted and pulled sideways. With one movement, the wire is latched. Automatic cable stripping pliers have several serious advantages over handwashing. Higher insulation elimination is achieved, while precision is achieved thanks to the pre-set length of the removed insulation. There is no need to place the conductor in a specific place because the tool is self-adjusting for the cable thickness. In addition, most automatic jaws have the ability to strip several wires at once or a trickle. This also facilitates work and achieves a significantly higher bandwidth of cables and wires. Manual cable stripping tools also have their application. If you need a more budget model for home, amateur use and do not look for high speed and performance, manual offers will do a great job. However, if you need a serious tool for professional purposes to achieve quality combined with speed, the better option is the automatic stripping pliers for cables and wires. 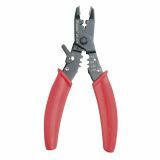 Which cable stripping pliers offers Vikiwat? 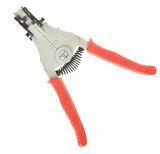 In the online shop of Vikiwat, you will find a choice of different types of wire strippers - both automatic and manual - at top prices. 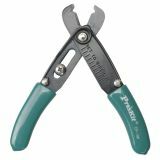 Which scraper pliers buy the Vikiwat users most often? Vikiwat's team wishes you a nice shopping online.